This article is about the geographical region in Serbia and Hungary. For other uses, see Bačka (disambiguation). Bačka (Serbian: Бачка / Bačka, pronounced [bâːt͡ʃkaː]; Hungarian: Bácska, pronounced [ˈbaːt͡ʃkɒ]) is a geographical and historical area within the Pannonian Plain bordered by the river Danube to the west and south, and by the river Tisza to the east. It is divided between Serbia and Hungary. Most of the area is located within the Vojvodina region in Serbia and Novi Sad, the capital of Vojvodina, lies on the border between Bačka and Syrmia. The smaller northern part of the geographical area is located within Bács-Kiskun County, in Hungary. The name of the region in Serbian is Bačka or Бачка and in Hungarian is Bácska. In other languages of the region, the name is similar: Bačka in Croatian and Bunjevac, Báčka in Slovak, Бачка (Bačka) in Rusyn, and Batschka in German. According to Serbian historians, Bačka is a typical Slavic name form, created from "Bač" (name of historical town in Bačka) and suffix "ka" (which designates "the land that belongs to Bač"). There are many other similar name forms used in Serbian and other Slavic languages[original research? ], for example Šajkaška, Srpska, Hrvatska (Croatia), Timočka Krajina, Bugarska (Bulgaria), Polska (Poland), etc. The name of "Bač" (Bács) town itself is of uncertain origin and its existence was recorded among Vlachs, Slavs and Hungarians in the Middle Ages. The origin of the name could be Paleo-Balkanic, Romanian, Slavic, or Old Turkic. According to Hungarian historians, the denominator of the landscape may have been the first bailiff of Bač (Bács) castle, and the name one which can be rendered probable it Old Turkic baya derives from a dignity name. In the 17th and 18th century, due to the large number of Serbs who lived in Bačka, this region was called »Raczorszag« (Hungarian name, which means "the Serb country" in English). Sometimes, the Hungarians used name Délvidék ("the southern or lower country") for a wider imprecisely defined geographical area, which, according to 19th century view also included Bačka. However, according to other Hungarian sources, Bačka was rather seen as part of Alföld. Through history, Bačka has been a part of Dacia, the Kingdom of the Iazyges, the Hun Empire, the Gepid Kingdom, the Avar Khanate, the First Bulgarian Empire, the Great Moravia, the Kingdom of Hungary, the Serb realm of Jovan Nenad, the Ottoman Empire, the Habsburg Monarchy, the Austrian Empire, Austria-Hungary, the Kingdom of Serbia, the Kingdom of Serbs, Croats and Slovenes, the Kingdom of Yugoslavia, the Socialist Federal Republic of Yugoslavia, the Federal Republic of Yugoslavia, Serbia and Montenegro, and since 2006, it has been part of an independent Republic of Serbia. The smaller northern part of the region was part of the short-lived Serb-Hungarian Baranya-Baja Republic (in 1921) and part of independent Hungary since 1921. People have inhabited the region of Bačka since Neolithic times. Indo-European peoples settled in this region in three migration waves dated in 4200 BC, 3300 BC, and 2800 BC respectively. The earliest historical inhabitants of the region were probably Illyrian tribes. Later, other Indo-European peoples, including Dacians, Celts, Sarmatians (Iazyges) and Gepids were recorded as inhabitants of Bačka. Slavs, the ancestors of contemporary Serbs, settled today's Bačka in the 6th and 7th centuries, before part of them subsequently migrated to the Balkans. In the 9th century the territory of Bačka was part of Bulgarian Empire. Salan, a Bulgarian voivod (duke), was a ruler in this territory and his capital city was Titel. In the early 10th century, Hungarians defeated Salan, and his duchy came under Hungarian rule. In the 11th century, during the administration of the medieval Kingdom of Hungary, Bacsensis (Bács, Bač) County was formed, with city of Bache (Bács, Bač) as its administrative centre. According to Serbian sources, Ilija Vid, the first known prefect of Bacsensis County was recorded in 1068 and he was an ethnic Serb. 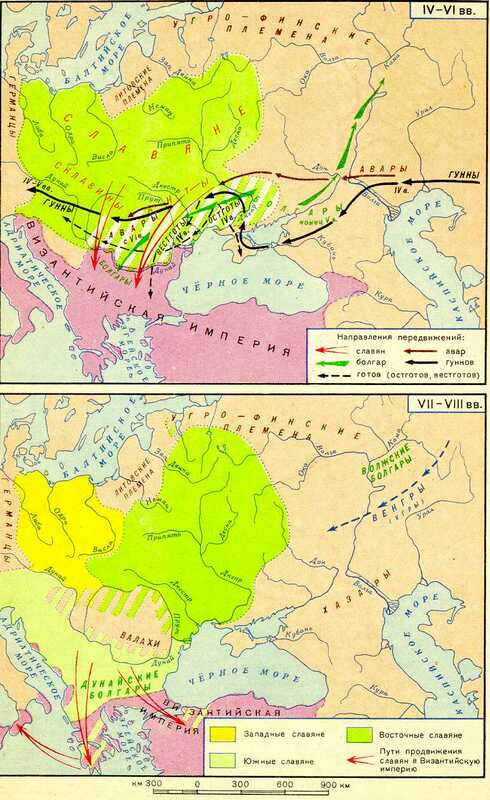 In this time, the region was populated by both, Slavs and Hungarians. Serbian historian Dr. Milenko Palić also mentions that prefect Vid was an ethnic Serb and that he, together with two other ethnic Serbs whose names were Ilija and Radovan, participated in dynastic struggles in the Kingdom of Hungary, in the end of the 11th century. [verification needed] According to Hungarian authors, prefect Vid belonged to the Gutkeled genus, but there is a possibility that he was a fictitious person. After the Kingdom of Hungary was defeated by the Ottoman Empire (in 1526), Bačka became (from 1526-27) the central region of an independent Serbian state, which existed in the territory of present-day Vojvodina. The ruler of this state was Emperor Jovan Nenad and his capital city was Subotica. After Jovan Nenad was killed, his state collapsed and Bačka, for a short time, came again under Hungarian administration. Soon, the region became part of the Ottoman Empire. During the Ottoman rule (in the 16th-17th centuries), Bačka was part of the Sanjak of Segedin (Szeged), and the region was mainly populated with Serbs (who were in an absolute majority) and Muslims. In 1699, the Bačka became a possession of the Habsburg Monarchy. A Bacsensis County was established in the western parts of the region, while some other (mostly eastern) parts of the Bačka were incorporated into the Tisa-Mureş section of Habsburg Military Frontier. After this part of the Military Frontier was abolished in 1751, these parts of Bačka were also included into Bacsensis county. The only part of Bačka which remained within the Military Frontier was Šajkaška, but it also came under civil administration in 1873. According to the Austrian censuses from 1715–20, Serbs, Bunjevci, and Šokci comprised most of the region's population (97.6% of population according to 1715-1720 census data). There were only 530 or 1.9% Hungarians and 0.5% Germans. During the 18th century, the Habsburgs carried out an intensive colonisation of the area, which had low population density after the last Ottoman Wars, as much of the Serbian population had been decimated through warfare. Muslim population had almost entirely left or was expelled from the region and some of the Muslim refugees from this area settled in Ottoman Bosnia. The new settlers in Bačka were primarily Serbs who moved from Ottoman Balkans, Hungarians, and Germans. Because many of the Germans came from Swabia, they were known as Donauschwaben, or Danube Swabians. Some Germans also came from Austria, and some from Bavaria and Alsace. Lutheran Slovaks, Rusyns, and others were also colonized but to a much smaller extent. There was also an emigration of Serbs from the eastern parts of the region, which belonged to Military Frontier until 1751. After the abolition of the Tisa-Mureş section of Military Frontier, many Serbs emigrated from north-eastern parts of Bačka. They moved either to Russia (notably to New Serbia and Slavo-Serbia) or to Banat, where the Military Frontier was still needed. In 1848 and 1849, Bačka was part of the Serbian Voivodship, a Serbian autonomous region within Austrian Empire, while between 1849 and 1860 it was part of the Voivodship of Serbia and Tamiš Banat, a separate Austrian crown land (the official languages of the voivodship were German and Illyrian, i.e. Serbo-Croatian), the successor of the Serbian Voivodship. After 1860, when Voivodship of Serbia and Tamiš Banat was abolished, the Bács-Bodrog County was again formed in the territory of Bačka. The county was part of the Kingdom of Hungary, which became one of two autonomous parts of Austria-Hungary in 1867. According to the 1910 census, the population of Bačka numbered 704,563 people and was composed of: 43.2% speakers of Hungarian (310,490), 28.1% speakers of South Slavic (Serbo-Croatian) language and 22.5% speakers of German. Linguistic composition of the region is partially different from ethnic composition since some ethnic Jews and bilingual South Slavs were in this census recorded as speakers of Hungarian language. In early September 1914, several years before the end of the Habsburg Empire, in a town in the West Vojvodina Bačka region known as Zombor or Sombor of some 30,000 people, including 12,000 Serb-speakers, popular demonstrations demanded the removal of all shop signs in the Cyrillic alphabet. When an angry mob chased one Serb-speaking shopkeeper to his home for refusing to remove his Cyrillic sign, he responded by shooting at the demonstrators. The local military commander demanded the shopkeeper's immediate extradition, court martialed him and executed him on the spot. The court martial also designated twelve more affluent hostages from among the Serb-speaking population who would be "arrested and immediately executed by the military authorities" in the case of any obstruction or opposition shown by the local [Serb-speaking] population to the military authorities." This would presage the Serb genocide committed in the Independent State of Croatia during most of the Second World War. At the end of October 1918, Austria-Hungary gradually dissolved and, with the Armistice of Villa Giusti of 3 November, officially capitulated to the Triple Entente. Following this capitulation, Slavs from Banat, Bačka and Baranja organized a new civil administration in these regions as well as their own military units known as People's Guard (Serbian: Narodna straža). The new civil administration was composed of local People's Boards (Serbian: Narodni odbori), which were subordinated to Serb People's Board (Serbian: Srpski narodni odbor) in Novi Sad. Military units of Serb People's Board also possessed aircraft from the Novi Sad Airport. After elections, which were organized between 18 and 24 November, Great People's Assembly of Serbs, Bunjevci and other Slavs of Banat, Bačka and Baranja (held on 25 November 1918) proclaimed unification of these regions with the Kingdom of Serbia. New administrative bodies of Banat, Bačka and Baranja (government and parliament) were also formed. Although, government in Belgrade accepted decision of unification with Serbia, it never recognized new provincial government. The provincial administration, however, was active until 12 March 1919, when it held its last session. On 1 December 1918, the Kingdom of Serbia united with the State of Slovenes, Croats and Serbs to form new country named the Kingdom of Serbs, Croats, and Slovenes. Sovereignty of new kingdom was internationally recognized by the Treaty of Saint Germain in 1919. The Treaty of Trianon of 4 June 1920 defined the exact borders between the newly independent Hungary and the Kingdom of Serbs, Croats and Slovenes (which was later renamed the Kingdom of Yugoslavia) and original territory of Bačka was divided between these two countries. The northern part of the region was a separate county of Hungary (Bács-Bodrog) with seat in Baja, which was later incorporated into Bács-Kiskun county. The southern part of the region was within the District of Novi Sad of the Kingdom of Serbs, Croats, and Slovenes between 1918 and 1922, then was divided between Bačka Oblast and Belgrade Oblast, provinces (oblasts) of the kingdom, between 1922 and 1929. In 1929, it was incorporated into Danube Banovina, which was a province of the Kingdom of Yugoslavia. Between 1820 and 1910, Hungarian speaking population in Bačka increased from 121,688 (31.5%) to 363,518 (44.75%). In the same time, percentage of South Slavs decreased from 44% in 1820 to 27% in 1910. 1921 census showed about 40,000 Hungarian speakers less than in census of 1910. This was especially case in Subotica where 1910 census recorded 55.587 speakers of Hungarian and 33,247 speakers of Bunjevac, while census of 1921 recorded 60,700 speakers of Serbo-Croatian and 26,750 speakers of Hungarian. This is explained by the fact that ethnic Bunjevci from Subotica who had knowledge of Hungarian language were listed as speakers of Hungarian by 1910 census. Between 1921 and 1931 census, number of Hungarian speakers in Bačka increased from 260,998 to 268,711. Slavic population increased by 91,800 inhabitants. In 1941, Yugoslav Bačka was occupied by the Axis powers and attached to Horthy's Hungary (but was still internationally recognized as part of Yugoslavia). Before this occupation, according to 1931 census, Yugoslav Bačka had 784,896 inhabitants, of whom there were 284,865 Yugoslavs (Serbs, Croats, Bunjevci, Šokci), 268,711 Hungarians and 169,858 Germans. Hungarian occupation authorities expelled several thousands of Serbs from the region and settled ethnic Hungarians from other parts of Central Europe in their place, so that the Hungarian census of 1941 recorded different a demographic composition in the region. According to this census, the territory of Bačka had 789,705 inhabitants, of which 45.4% or[clarification needed] 47.2% were speakers of Hungarian language (not all of them native, however). During the occupation, Hungarian troops killed about 20,000 Serbs, Jews and Roma. The occupation ended in 1944 and Yugoslav Bačka became part of the new Democratic Federal Yugoslavia (later the Socialist Federal Republic of Yugoslavia). Following the defeat of the Axis troops, most of the German population that lived in the area left the region together with German army. The smaller part of the German population (several thousands of people) that did not leave the area (mostly women, children and the elderly) were sent to prison camps, where many of them died of malnutrition and disease. After the war, members of the Yugoslav Partisan army also killed several tens of thousands of inhabitants of German, Hungarian and Serb ethnic origin (in whole of Vojvodina). Estimates about numbers of victims of the Partisans (in whole of Vojvodina) are between 17,000 and 56,000 killed Germans, between 4,000 and 40,000 Hungarians killed, and about 23,000-24,000 Serbs killed. Together with eastern Syrmia, western Banat, and northern Mačva, Yugoslav Bačka has been part of the Autonomous Province of Vojvodina since 1945. After 1992, Yugoslav Bačka was part of the Federal Republic of Yugoslavia (renamed Serbia and Montenegro in 2003), and since 2006 it has been part of the independent Republic of Serbia. Bačka is a flat, fertile agricultural area within the larger Pannonian Plain, which was once the ancient Pannonian Sea. In Hungary, it is seen as a southern extension of the Great Alfold (itself part of the Pannonian Plain), while this designation is not used in Serbia where region is simply seen as a part of the Pannonian Plain. It lies between the River Danube to the west and south, and by the River Tisa (Tisza) to the east of which confluence is located near Titel in the South Bačka District of Serbia. The region is crisscrossed by parts of the Danube–Tisa–Danube Canal system which serves a variety of economic purposes. Almost all of Bačka is divided between Serbia and Hungary. However, there are small uninhabited pockets of the area on the left bank of the Danube which are de jure parts of Croatia according to the Badinter Commission; the disputed areas have been under de facto Serbian control since 1991. Most of the territory and a vast majority of the population of Bačka is part of Serbia's Autonomous Province of Vojvodina. This area within Serbia is officially divided into the districts of Southern Bačka, Western Bačka, and Northern Bačka. Novi Sad, the capital of Vojvodina, lies on the border between Bačka and Syrmia, on both banks of the river Danube. In some sources, Serbian part of Bačka is referred to as Central and Southern Bačka (Serbian: Средња и јужна Бачка / Srednja i južna Bačka; Hungarian: Közép- és Dél-Bácska) or simply Southern Bačka (Serbian: Јужна Бачка / ""Južna Bačka; Dél-Bácska). The smaller part of the region in Hungary's Bács-Kiskun County is, by the same sources, described as Northern Bačka (Hungarian: Észak-Bácska; Serbian: Северна Бачка / Severna Bačka). Map showing cities and towns in Serbian part of Bačka. Note that municipalities of Sremski Karlovci, Petrovaradin, and Beočin and southern part of municipality of Bačka Palanka that belong to South Bačka District are geographically not located in Bačka, but in Syrmia, while municipalities of Ada, Senta and Kanjiža which are geographically located in Bačka are part of North Banat District. Geographic or traditional subregions or regions overlapping with Serbian Bačka include Gornji Breg, Podunavlje, Potisje, Šajkaška, Telečka and Paorija. Note: Senta, Kanjiža, Ada, Mol and Horgoš are geographically located in Bačka, but they are part of the North Banat District. The Hungarian Bácska is mostly located in the Bács-Kiskun county of Hungary, while one small part of the region is located in the Baranya county. Note that parts of Hungarian Bácska also belong to the subregions of Kiskunhalasi and Mohácsi, although the main parts of those subregions are not located in Bácska. others (including Slovaks, Croats, Bunjevci, Šokci, Rusyns, Montenegrins, Yugoslavs, Romani, Germans, etc.). ^ Dr Dušan J. Popović, Srbi u Vojvodini, knjiga 1, Novi Sad, 1990, page 40. ^ "U XVII i XVIII veku u Bačkoj je već toliko Srba da putnici ovaj kraj nazivaju »Raczorszag«"
^ Dr Milenko Palić, Srbi u Mađarskoj - Ugarskoj do 1918, Novi Sad, 1995, page 10. ^ Veselin P. Dželetović, Poslednji srpski car - Jovan Nenad, Beograd, 2007. ^ Judson, Peter M. The Habsburg Empire: A New History (p. 398), Belknap Press of Harvard University Press, Cambridge, Mass./London, England. Copyright © 2016 by the President and Fellows of Harvard College. ISBN 978-0-67404-776-1/LOC 2015036845. ^ Dr Drago Njegovan, Prisajedinjenje Vojvodine Srbiji, Muzej Vojvodine, Novi Sad, 2004. ^ a b Dimitrije Boarov, Politička istorija Vojvodine, Novi Sad, 2001, page 183. ^ Nenad Stefanović, Jedan Svet na Dunavu, Beograd, 2003, page 133. Wikimedia Commons has media related to Bačka.